NEW YORK (WABC) -- There are major changes at the New York City Housing Authority due to the fallout from a growing lead paint inspection scandal. Brian Clarke, the senior vice president for operations, resigned. Luis Ponce, another senior vice president, was suspended and demoted. A third high level executive, Jay Krantz, resigned as well. 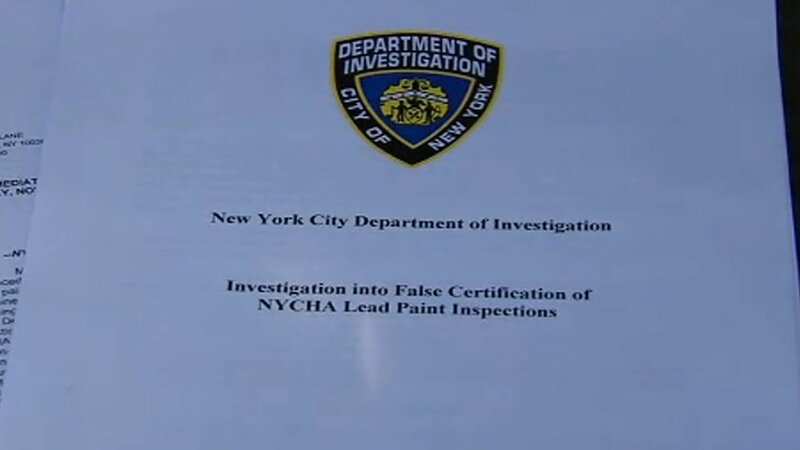 The shakeup comes after a scathing report from the Department of Investigation, which found NYCHA was not conducting mandatory lead paint inspections for years.